Thank you to everyone who attended the Inuit Art Society’s 2017 meeting in Corning. 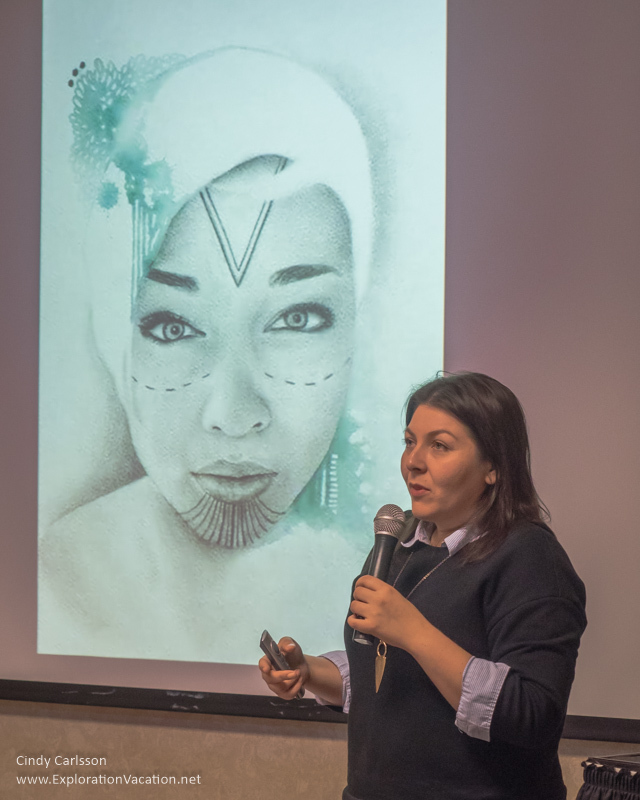 Under the guidance of Michael Foor-Pessin and Dr. Laurence Jacobs, this year’s meeting looked at how traditional Inuit art has been, and continues to be, transformed as artists use new forms and techniques. The following includes a few meeting highlights. Film maker and Inuit culturist, John Houston, screened his film James Houston: The Most Interesting Group of People You’ll Ever Meet, which is about his father. He also shared many other stories about his father and the making of this film. 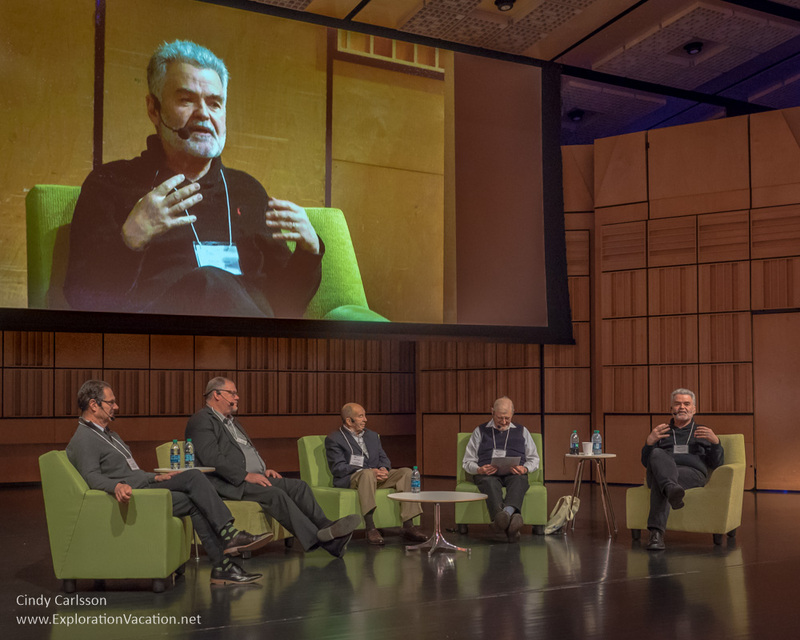 A panel discussed how James Houston transformed the world of Arctic ice into crystal masterpieces during his long career designing art glass for Steuben. This IAS members got to meet one of the younger generation of artists, Nancy Saunders. A native of Kuujjuaq, Nunavik, Nancy is a painter, carver, and throat singer. She talked about her development as an artist and showed pictures of her work, including her murals. 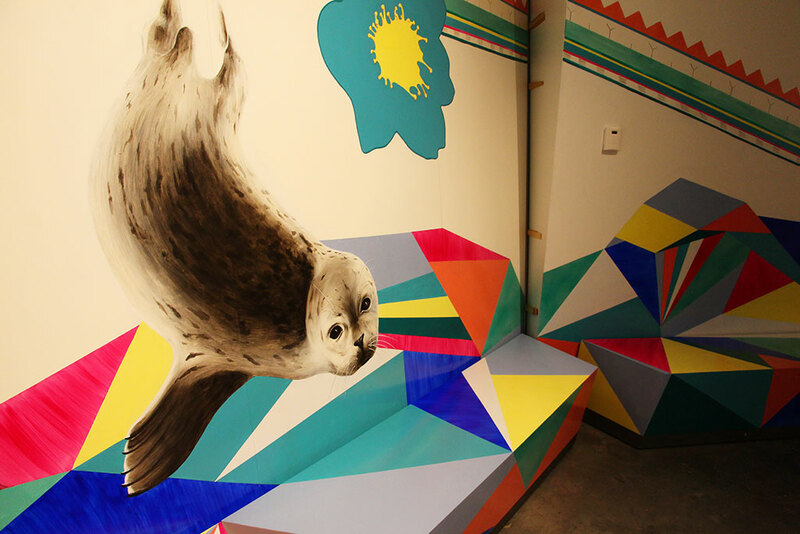 While most of her murals are located in her home town, her mural Ilurqusivut (Our Ways) is located in the Canadian Museum of Nature’s new Canada Goose Arctic Gallery. Nancy also performed as a throat singer at the conference’s opening reception at the Rockwell Museum. Besides singing and explaining the stories behind the songs,she also taught the rest of us a bit of throat singing so we could join her and Pauyungie Nutaraaluk. Pauyungie Nutaraaluk performed throat singing with Nancy at the evening reception. 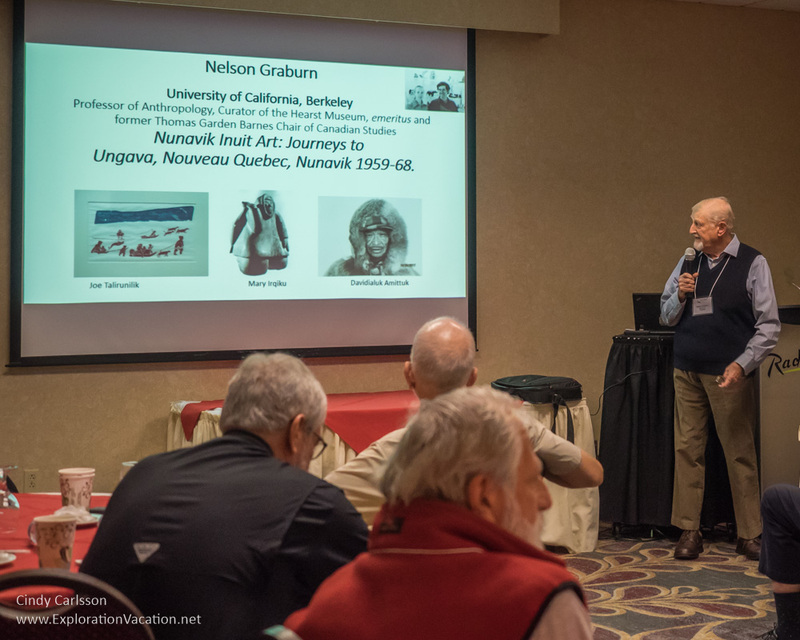 Distinguished anthropologist Nelson Graburn, Professor Emeritus of Sociocultural Anthropology at the University of California at Berkeley, spoke about his experiences in the Arctic in the 1950s and early 1960s. 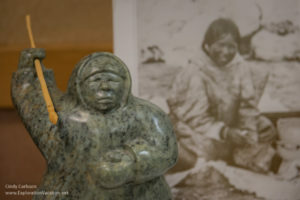 This included information about the development of modern Inuit art in this part of the Arctic. Richard Mohr, IAS member and Professor Emeritus of Philosophy and of the Classics at the University of Illinois at Urbana, discussed Floyd Kuptana’s two-dimensional work. 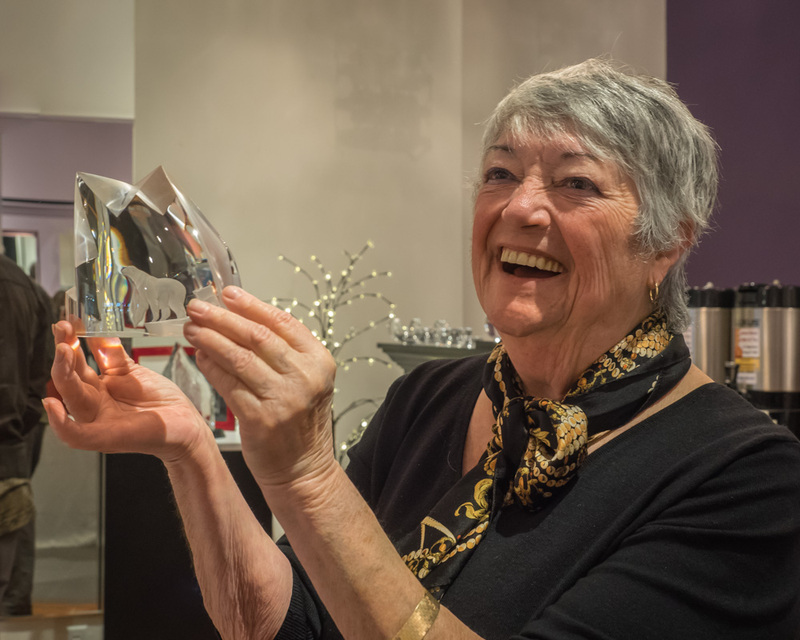 A small group of IAS members joined Max and Kitty Erlacher for a private viewing of lead crystal glass works, a number of them Houston-designed, some with Inuit-related themes. 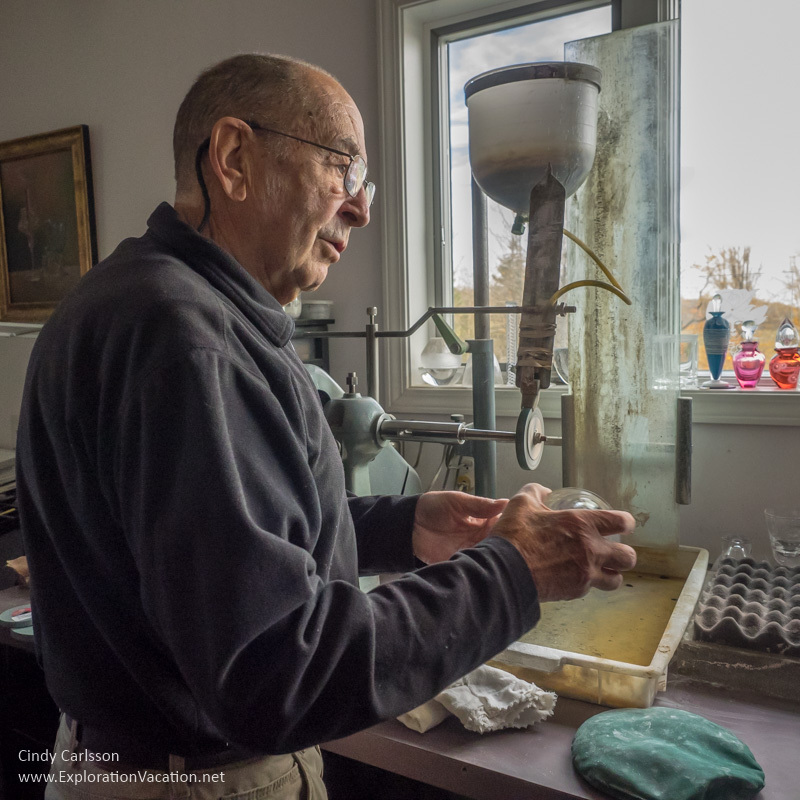 At Thursday’s gallery visit, Max Erlacher invited members to continue their exploration of Houston’s glass the next day with a tour and demonstration at his engraving studio. 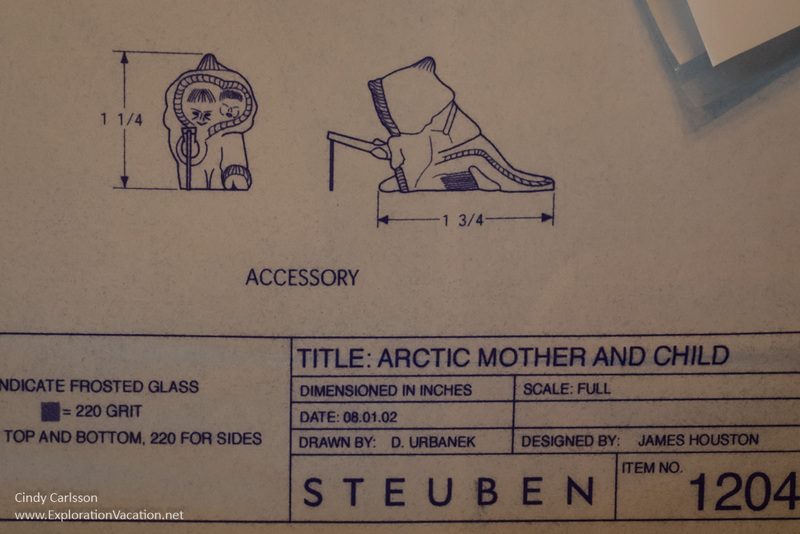 In addition to showing IAS members how the design’s on Houston’s pieces were created, Max and Kitty also brought out a number of design drawings, photographs, and other material related to Houston’s designs for Steuben. 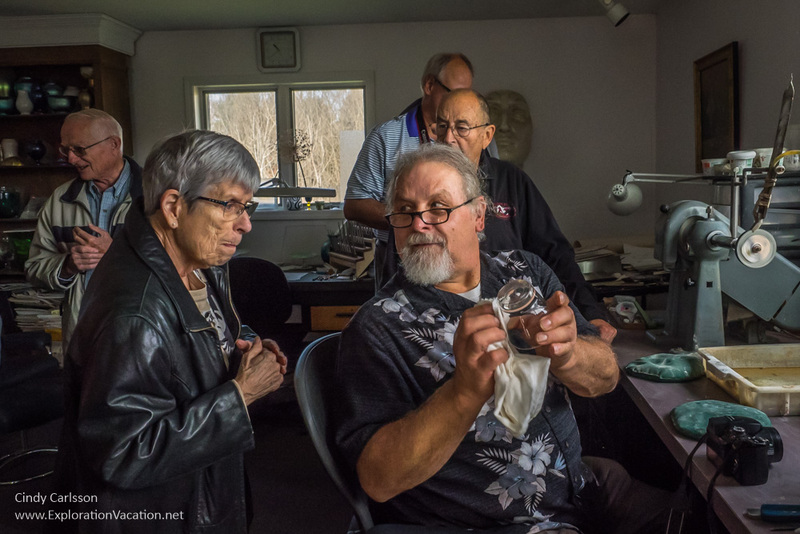 Max Erlacher is an Austrian-born glass engraver who still works for Corning. He was a friend and artistic collaborator with James Houston in the early days at Steuben Glass. The Radisson Hotel was the site of registration, several conference sessions, and the annual banquet. Throughout the weekend, an exhibition of selected works from the collections of society members Michael Foor-Pessin and Drs. Laurence and Katherine Jacobs were also on display in hallway cases adjacent to the hotel lobby. The Marketplace, which offers Inuit art for sale, was also held at the Radisson Hotel. Friday night’s reception was held in the main gallery of the Rockwell Museum. The Canadian Consulate’s Office in Buffalo, New York, was a generous sponsor of this year’s conference, and their representatives were on hand to meet IAS members. 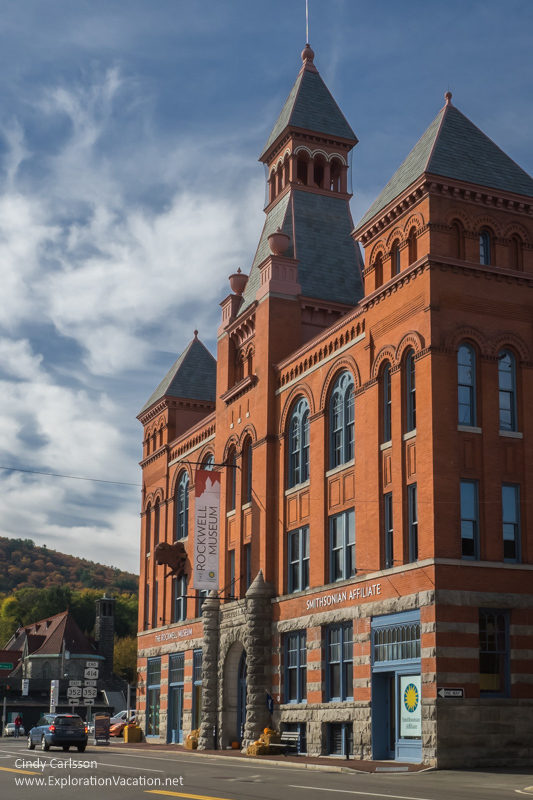 The Rockwell Museum focuses on western art, including art by Native American artists. 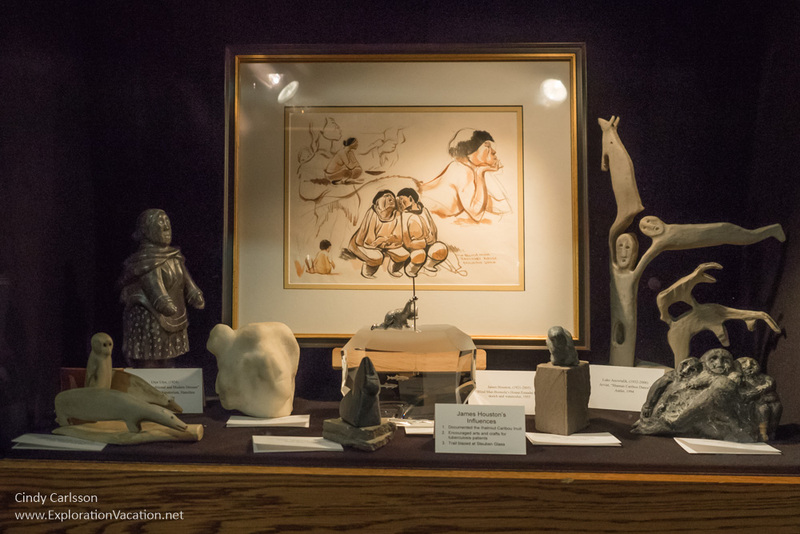 During the IAS meeting, the museum’s display included a major work by Inuit artist Abraham Ruben, which he donated to the Rockwell after his 2014 show at the museum. Saturday morning’s session was held in the auditorium of the Corning Museum of Glass, and an exhibit of some of James Houston’s arctic-themed crystal glass pieces was also on display. A special thanks goes to Michael Foor-Pessin and Laurence Jacobs for their work to make this meeting happen.